Daring! Sensational! That's what audiences say who witness the act of a stage hypnotist. Now you can learn the inside secrets of the professional stage hypnotist, in this fascinating book by Dunninger's "behind the scenes man," David J. Lustig. 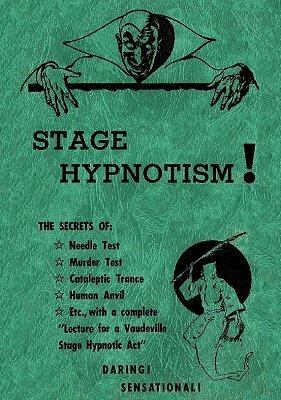 Not a clinical book full of theory, Lustig's light, breezy style lays bare the real methods used by stage hypnotists, Hindu fakirs, sideshow performers and "geek" magicians to wow their audiences. 1st edition ~1930, PDF 47 pages.